So, you are thinking about moving. Good for you! Moving is a daunting task, especially if you are downsizing or rightsizing to a new living environment. A Move Manager can help simplify the process to help make a stressful move into a manageable one. Here are a few suggestions to help start the move process. Get Organized. Start sorting belongings into three groups – things to donate, things to sell, things to keep. Set aside special items for family, and think about charitable donations and resale opportunities. Start collecting boxes, tape, and packing material. Take advantage of technology. Photos and Books hold cherished memories, however, they take space and are hard to move if heavy. Donate unused books to the local library or used bookstores. Photos can be preserved electronically, especially with the help of services that will transfer photos, slides and videos. Contact moving companies for estimates. It’s not unheard of to seek estimates 6-8 weeks before a move and reserve a space. Some moving companies will assist with packing provided there is enough notice. Create a folder of important details such as calendar dates surrounding the move, medical records, setting up address changes, notifying utilities/cable access. Eat it up! Use up frozen and canned foods rather than packing for the move. Or, consider donating canned goods to the local food shelf. Pack valuables and important records to take with you on move day. This may include medications, toiletries, jewelry, guns, and money in all forms- credit cards, checkbook, cash. Remember to ask about the preferred form of payment for the mover! Make arrangements for the final cleaning at the previous residence. A Move Manager can assist with locating and coordinating a service to help. Remember the new residence may require a thorough cleaning, too. Pack cleaning essentials last unless a Move Manager has made arrangements for cleaning. Moving day is finally here! A Move Manager will supervise a move, ensuring all the boxes and items are delivered to the right rooms and in good condition, and he or she will unpack the essentials for a calm transition on the first night in the new residence. A Move Manager can help at any stage of the process, but can ease the sorting and packing stage by identifying items that would fit nicely in a new living space. Moving is time consuming and stressful, but you don’t have to do it alone! Having a Move Manager by your side during the process brings relief and calm to help the move to a new residence be a fresh start! 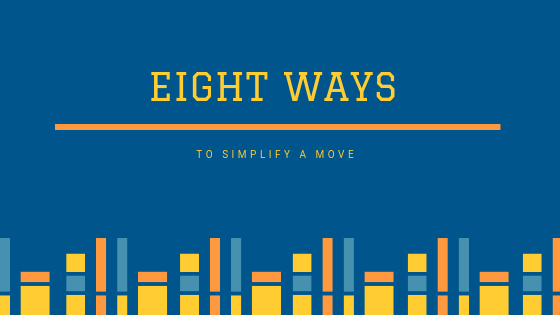 To learn more, visit www.SoftLandingTransitions.com or contact Kim Green, at Kim@SoftLandingTransitions.com or 763.639.5931 to learn how to simplify your next move!